Florida Sunshine Anise | Gurney's Seed & Nursery Co. It has stunning foliage color with little or no sun scorch. Fantastic in winter gardens. Upper stem develops a striking red cast in late fall through winter. 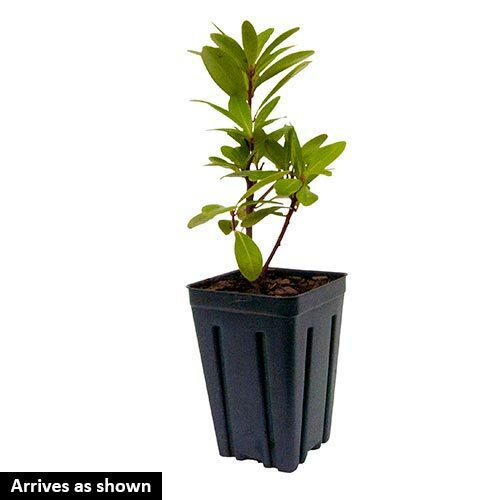 Evergreen foliage with a pleasing anise smell in spring and summer. Tolerates wet conditions. Matures at 5' tall. Easy to grow. Potted. Zones 6–9. FormEvergreen shrub with rounded shape with open branches. 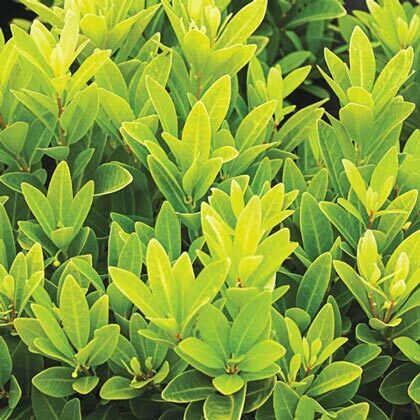 LightBest located in partial shade to protect the foliage from bleaching to pale yellow or simply scorching. Flower FormEach blossom has many tepals (false petals) and is not-so-pleasantly fragrant and dangles downward. FruitThe fruits ripen to brown and have the scent of anise when crushed. Not edible. Soil RequirementsAcidic, organic-rich soils that are moist. Tolerates wet conditions. CommentsIt has stunning foliage color with little or no sun scorch. Fantastic in winter gardens. Upper stem develops a striking red cast in late fall through winter. Evergreen foliage with a pleasing anise smell in spring and summer. Tolerates wet conditions. DepthSame depth as it was in the pot.